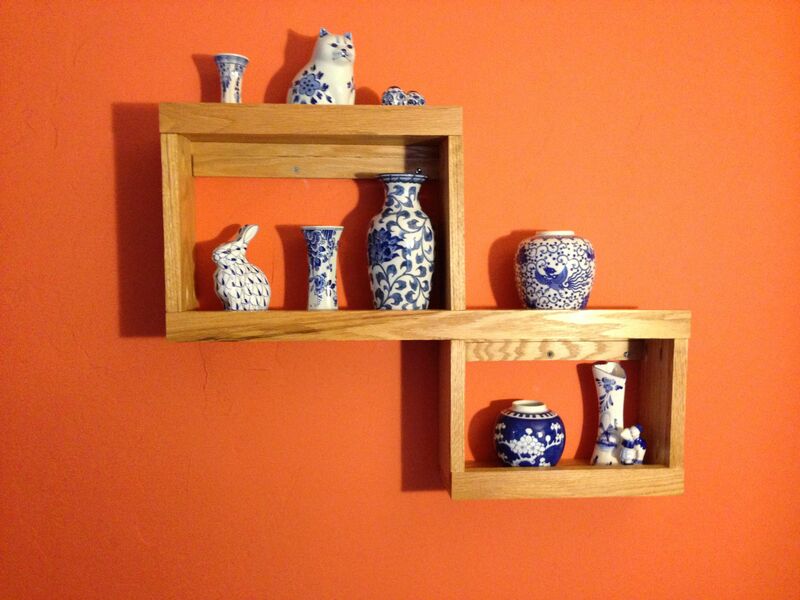 Last fall Heather asked for a shelf to put her blue and while china on. Sure I said, draw what you want and I’ll build it. She did and I did. We just got around to installing it yesterday. And yes, we have a wall in our house that is that color. Long story for a different day. This entry was posted in woodworking, Writing and tagged woodworking. Bookmark the permalink. Hi Andrew that looks good. I could not do that it would fall down and be out of shape.Thank you for liking my poem Route!. Best Wishes. The Foureyed Poet. The colour is really warm Andrew and sets the blue off very nicely. The wall it’s on is a dark part of the living room so the warm color really helps. I wasn’t sure it was going to work, but trusted my wife’s sense of color and was happily surprised with the result. It does work better when you see the color of the wall next to it. I’ve enjoyed looking around here today. Appreciate your work. Thank you for stopping by my site from time to time. Blessings on your life. Thanks – Heather has a large collection, this is just the ‘good stuff.’ I’ll have to make another display shelf soon. I love the blue and white pottery. It really pops* against the orange wall. *I heard the term pops on the DIY channel. Very creative shelf, Andrew. The wall color–also creative. Both the shelf design and the wall color are my wife’s ideas – I just did the heavy lifting (painting, cutting the wood). Thanks. The wall does grow on you after awhile. That’s a great colour. People are always so scared of vibrant colours, and in my humble opinion, it would be a much brighter world if they weren’t! I’ll tell the longer version some day, but the short version is that one day Heather was looking a paint colors and found this one. I was ‘less than enthusiastic” about it, but agreed to put it on one wall. After it was on, well I just loved it. Hi Andrew. So … you’re shelving your blog for a week. 😊 Your shelves are excellent by the way. I have always bought shelves from a DIY store myself. But if I possessed your level of skill I would certainly make my own. Is your wood shop in a shed in your yard ? Hope you are well and thriving. All the best to you and your recharging batteries! Kris. 🙂 These are simple shelves. They didn’t take that much skill, just the right tools. My workshop is most in the old carport with a small inside space that use to be a storage room. Great look. The orange makes the grain of the wood really pop. Thanks – it’s a bit artsy to fit with the style of the house.